If your bathroom has a vanity that is not of standard size, it may be difficult for you to find a new one at a big box retail store. While you may be under the impression of custom vanities costing an exorbitant amount of money, you may be wrong! At Castle Remodeling, our team offers various bathroom remodeling services, including the designing, building, and installation of bathroom vanities. 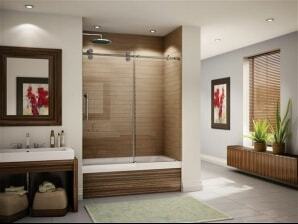 We strive to keep our prices affordable while allowing you to obtain the bathroom of your dreams. From single to double vanities, our team can build a vanity according to your wishes. Free estimates are available for all our services, including bathroom vanities. For more information, please give us a call at (818) 991-0361 to speak with an Agoura Hills bathroom remodeling professional at Castle Remodeling today!